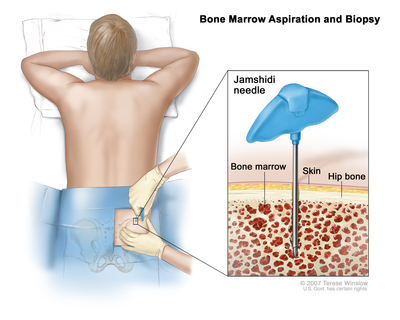 Immunophenotyping: A laboratory test in which the antigens or markers on the surface of a blood or bone marrow cell are checked to see if they are lymphocytes or myeloid cells. 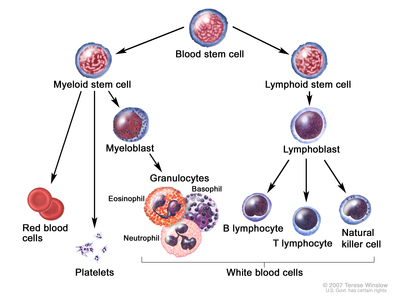 If the cells are malignant lymphocytes (cancer), they are checked to see if they are B lymphocytes or T lymphocytes. IgVH gene mutation test: A laboratory test done on a bone marrow or blood sample to check for an IgVH gene mutation. Patients with an IgVH gene mutation have a better prognosis. 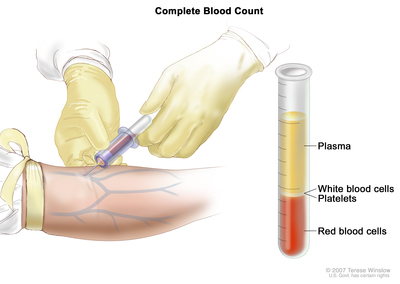 Red blood cell, white blood cell, and platelet blood counts. Whether there are signs or symptoms, such as fever, chills, or weight loss. Whether the liver, spleen, or lymph nodes are larger than normal. The response to initial treatment. Whether the CLL has recurred (come back). Whether there is a change in the DNA and the type of change, if there is one. 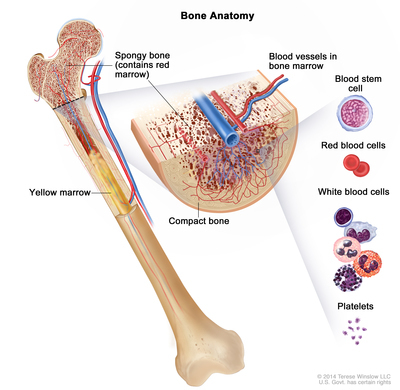 Whether lymphocytes are spread throughout the bone marrow. Whether the CLL gets better with treatment or has recurred (come back). Whether the CLL progresses to lymphoma or prolymphocytic leukemia.